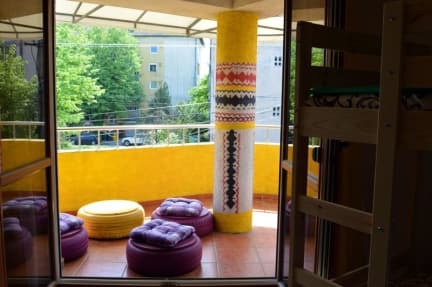 Exit Routine Hostel i Timisoara, Romania: Bestill nå! Hello and welcome to our Hostel! The story behind Exit Routine Hostel starts from a simple idea, we wanted to exit our, so called, comfort zone and break the day to day routine. 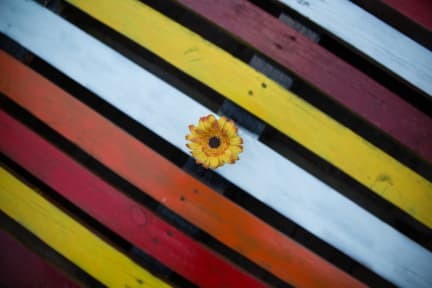 Therefore, we are more than happy to welcome you in our little cosy hostel. In general, we can accommodate up to 19 backpackers at the same time, which means that we have a very familiar and open vibe in our hostel. Our location is super central and ideal for your stay in Timisoara. The chill area is perfect for a day after sightseeing or just for a relaxed day, here in our hostel.